Volunteering with Citizens Advice Enfield is a great way to pick up skills, make friends and feel part of an enthusiastic team. Last year the Citizens Advice Service helped 2.1 million people with 7.1 million problems. As well as being worthwhile, volunteering can also be fantastic fun and hugely rewarding. 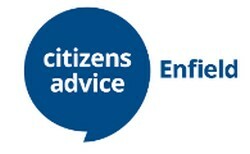 The Citizens Advice Service helps people resolve their money, legal and other problems by providing free advice and by influencing policy makers. Every local Citizens Advice is a registered charity reliant on trained volunteers and funds to continue providing this vital service to local communities. Charity Shop – VOLUNTEERS NEEDED! Once completed, you can send the form to us by post or email. Details on where to send the form is located on the application.